QuickMove 1.4 has been released! If you are already a user then simply click on “Check Now” under “Settings->Auto Updates” to have your version updated automatically for you. 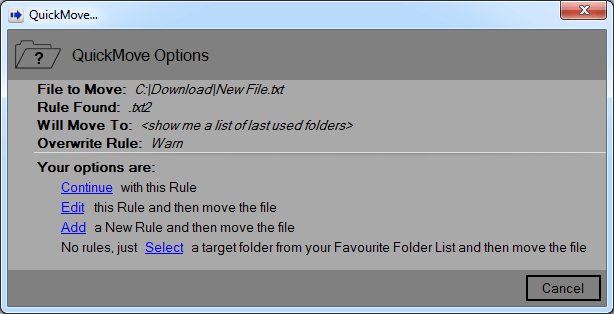 A few new features were added in this release but the focus was on improving workflow from the context menu.